I’am a kind of person who love to participate in debates and discussions regarding everything under the sun..I love to talk about things that matters to me,that comes under my area of interest.So today I have something to discuss with you. It all started when one of my friends called me and we had a serious talk regarding GOD.He argued me strongly that “There is no such thing in the universe to control us and it is only an imagination.” But I wasn’t able to agree with him.I strongly believe there is something,a source of positive energy,a spirit,we call it as Krishna,Allah or Jesus..What do you think…??? ?I wish to hear your opinions regarding the topic..
Dear shilpa, this is something which I ask myself.. As i don’t have the courage to question the existence of God, I never talked against it….so what should I tell now..
So,,why don’t you have the courage to question?does we fear God?? Mmm..😊👍thats happening to me also.bt in my case, am sure that there is GOD.bt I just donno why I believe so..
may be we are on the same lines.. Interesting and probably one of the most controversial topic to discuss, To be honest i don’t much agree to what we are doing in day-to-day life to enforce its existence…but i would say there’s something out there which is actually binding everybody with its positive aura…Its faceless! You may call it God or anything, doesn’t matter. Most important thing is, people should keep believing and thats whats keeps them alive. Imagine that someway it is proved that there is no such thing, people would become fragile and crumble..Isn’t It! That’s interesting.. And also it’s very true.The concept of God acts as a bond between people.And also it makes a fear in the minds of people so that they believe God will punish them if they do smthg wrong.So actually it makes a sense.so do you believe in that this thing(I call it as God) is only a bond to bind people together and it does not exist actually? thank you..I got something new frm dis article..
Good. the site has the best translations in srimad bhagvatam and bhagvad Gita from none other than the founder of ISKCON. 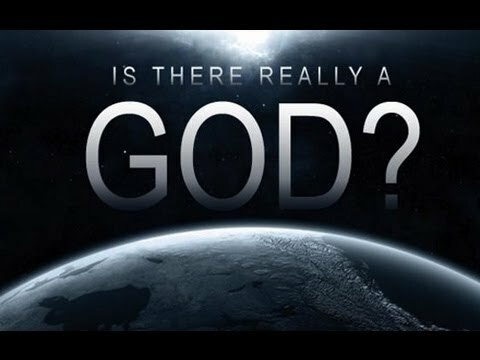 ..The source of creation of the entire universe is linked to something ,”it”that something we don’t know …Either it can be the one that is the so called god or be the one that can give the right answer to the question you raised. Yes .. Something.. our generation is not fit to understand.. beyond human knowledge. There is an existing system of belief .. sometimes the society won’t able to handle the truth if we start knowing what is god..
Mmm Yes … 😃 it’s better not to look for it .. born ..live..die.. it’s better ..
ithu kollalo.. some debate.. I think all of us should go back to the 19th century writing after Darwin published his theory of evolution. The chaos and confusion that followed in all kinds of art .. is something to ponder on. It is a belief system, until then it was the church, when darwin came in after rethinking how many times before he published his work, the people went into turmoil.. Dover Beach, Matthew Arnold.. is a case in point. Yeah true dat..we should start frm there…was it actually a kind of belief system that imposed on people? 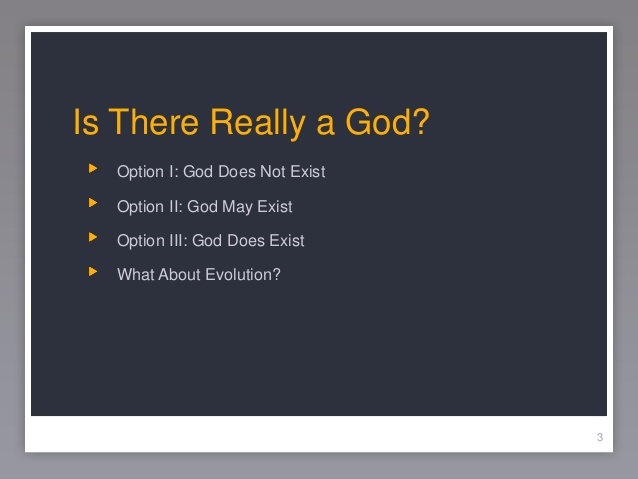 ?wht do u think abt theory of evolution? Is it completely acceptable? Difficult to answer! If we take religion and science as two belief systems then the problem is kinda solved.. Until Darwin the evolution was from Adam and Eve, something even the Bible says is fiction! (part of it) When Darwin came by with his theory of we have been evolved from earlier species, well.. people flipped. Imagine this, if one day somebody comes and tells us, we are not your parents daughters but was adopted.. our entire world we have built up until now around these two people, the extended family will collapse in that one moment. Something similar, on a larger scale happened when Darwin proposed. Blind faith in god/supreme power and proven scientific hypotheses are two different things. We just need to be thoughtful to keep them apart. There is no one answer to the question.. whatever it is, faith is a must! a shakiness in the faith can create trouble! hahaahaha! like there are two ways to reach your house.. same way, two ways to reach our answers to the power! Mr Midnight and Sir Winston, my two furry friends from the blog “Gilmours Nice Place” believe that there is no such thing as a God. If believeing in a God helps then all is well and there is nothing to say against this but we at “the “Nice Place” blog simply believe that the belief that a God exists just helps make human life more tolerable on the planet – believing in something much larger than the human race helps give comfort in times of distress. My cats inform me (and my instinct tells me) that “God” is NOT OUTTHERE but WITHIN each and every soul that breathes the air of mother air. We just have to be brave enough to take the journey to discover ourselves. Deep within our souls shines OUR GOD. All things are connected an are One so it doesn´t really matter if you wish to call YOUR GOD Allah, Buddha, Jesus or whatever. The universe is one. 🙂 Best greetings from the three of us in the magical Black Forest. Glad to have been of service. Wishing you all the best. For instance when He saved me in a severe car accident , my car was going to be hit by a huge 16 ft truck and we were driving in the mountains . On one side was the truck and on the other was nothing . On a sharp turn we were totally going to get hit by the truck and would’ve gone downhill. I was constantly praying and God answered as he always does and i was saved by a minor gap . That is how awesome My God is . I believe that there is a God. I believed that even before I met God for myself. Or as close to it as I believe you can get on Earth. Whether there’s an afterlife, that’s the trickier question to me. While on cannabis, I meditated. I found a state of happiness. This was a revelation to me. I now knew how to make myself happy. All my life I had been depressed and full of self-hate and while I hadn’t known it, not being able to make myself feel happiness was at the root of it. While I felt that happiness, I realized many things. That, once I became happy, I no longer had reason to hate myself. I no longer had wants, as I had the thing I had wanted most of all. All of the wants I’d had prior to now had been failed attempts at producing this state. I no longer wanted. I saw the things that I had regarded as sins, as things to feel guilty about, to be mostly trivial. Everything I had done up until now had worked to bring me here, and that was good. The only things I still regretted were the actions that had hurt others. And, oh yeah? I was able to love other people as well. I saw them as being still in that struggle for happiness and their own mistakes and blemishes were as trivial as mine. I no longer hated anyone. I no longer felt any desire to harm anyone, even by gossiping about them or joking about them. I realized that I had saved myself from despair and from Hell on Earth. That I was my own personal savior and that, in a sense, I had met God. I always believed that the important part of Jesus’ teaching was the part about love. Loving God, loving yourself and loving your neighbor. I knew and had experienced the truth of these things for myself. I got the point of Christianity. Perhaps Jesus was the literal son of God, but we are all equally children of God. Some of us just haven’t realized it for themselves yet. I still consider myself to be a Christian and I still believe in God, but I think it’s most important that we know God for ourselves, personally, in our own lives so that we can then show this same love and compassion to others. Still working out how to share it. Thank you for your words..It’s really interesting to read and know about different opinions…I too believe the GOD exists..I’m a Hindu..bt still I believe there is a single spirit or god and we call it with dfrnt names..
Great post! Check out my current and upcoming theological and political posts. Follow for follow. Share any posts you like please to help me build up my following base. Thanks! And God’s love is eternal. For those who doesn’t believe Him. It’s their lost.. YES there is a God… Do u think evolution is the reason why u wake up everyday. God created man to create evolution but evolution can never be compared to God. Gods Alive and with us always! We are so full of the world that we cannot hear him at times. It is important we listen to him. He gives nudges, feelings goosebumps and much more to let us know he is around & what he wants for us. But the worlds so loud its hard to hear. The most important thing to remember and believe with all your heart is that God loves you as if you were his only child he loves us all that way. No matter what we have or have not done God loves us. Next and actually the most important is that God allowed his only son to be beaten, humiliated, tortured and finally nailed to a cross for our sins. Everyone’s sins. God knew the old laws and commandments were impossible for his people to achieve. So he sacrificed his son so that we may be under Grace and have everlasting life. No longer are we under the old laws and all we have to do is repent now to be forgiven. Jesus is the key to God the Only key. Jesus is who will stand up on judgement day while we stand there waiting to be judged and answers God when he says who atones for this sinner and Jesus says “I DO!” Don’t let your chance go by get to know Jesus and God so that when God says who speaks for this sinner Jesus does not say I don’t know you! Universe, creation, evolution ennokke ullaa valliya valiya chinthankallum chodyangallum maati nirthi… oru sadharankaarante chuttupaadinod daivam enthanenn choidichappo eniikk kittya answer …love ennann… god is another name of love,,,,,srishtiyum sthithiyum samharavum nila nilkunnathum nilthurthunnathum snehathaaal…god is eternal love … manushyann manushyanod ulla sneham sahajevikallodulla sneham prakrithiyodulla sneham….